to age in place as full members of the community. Recognizing the increasing number of residents over 60 and the desire to keep long-term residents in our communities, South Orange and Maplewood (SOMA) launched "Two Towns for All Ages." Under this new initiative, SOMA is taking a proactive approach to foster healthy aging and enable residents to age in place. Be responsive to the needs of older residents. Combine the resources and interests of both towns to build a synergistic relationship that promotes and supports healthy, engaged and vibrant aging. Recognize the role older adults play in our communities and their contributions to the fabric of our diverse community. 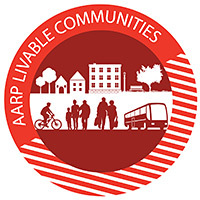 Realize that improvements that benefit the older population also benefit the rest of our community. Encourage older adults to engage in the conversation and be responsive to their concerns. Both towns are committed to the long-term continuity and sustainability of the SOMA Two Towns for All Ages initiative.